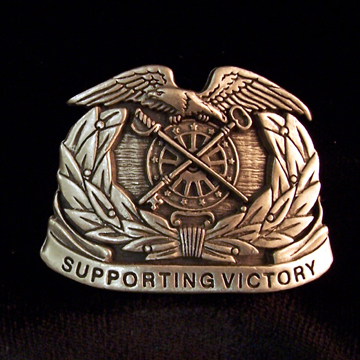 Quartermaster Regimental Crest is cast in pewter as a powerful magnet. Will hold anything! Measures approximately 1-1/4 x 1-3/4″.